Cox Business's small business accelerator event highlighted area's entrepreneurial ecosystem. TULSA—The J.M. & H.C. Hall Store. Frisco Depot. Tulsa House Hotel. Reed & Perryman Store and Post Office. Jeff Archer Store. Fast-forward to today and Tulsa’s economic landscape has blossomed and diversified, and includes industries like finance, technology and telecommunications. While big business remains, small- and mid-size businesses now power a significant portion of the city’s economy. One of the city’s vibrant, growing startups was recently honored at Cox Business’s first-ever HackON: A Small Business Accelerator event. 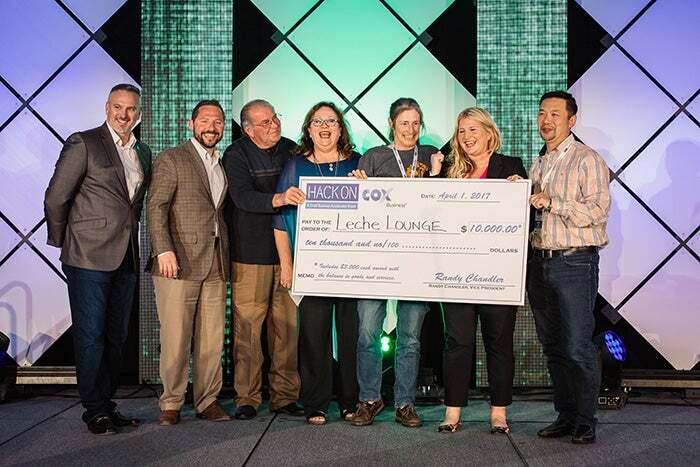 Stephanie Conduff, the 33-year-old founder of Leche Lounge, received a $10,000 prize package for winning the competition. Leche Lounge founder Stephanie Conduff (second in from the right) and her team accept their award. Produced in partnership with Entrepreneur Media, the two-day HackON invited local small companies to submit their biggest business challenge and let a group of area business and community members help find (or “hack”) a feasible solution. The judges included an Entrepreneur editor, a community leader, a Tulsa business owner and a Tulsa business executive. The event was hosted at the Cox Business Center as well as 36 Degrees North, a basecamp for entrepreneurs in Tulsa’s vibrant Brady Arts District. Founded in May 2015, Leche Lounge aims to provide new mothers with a clean and comfortable place to pump breast milk while in public spaces like stadiums, convention centers, universities and workplaces. 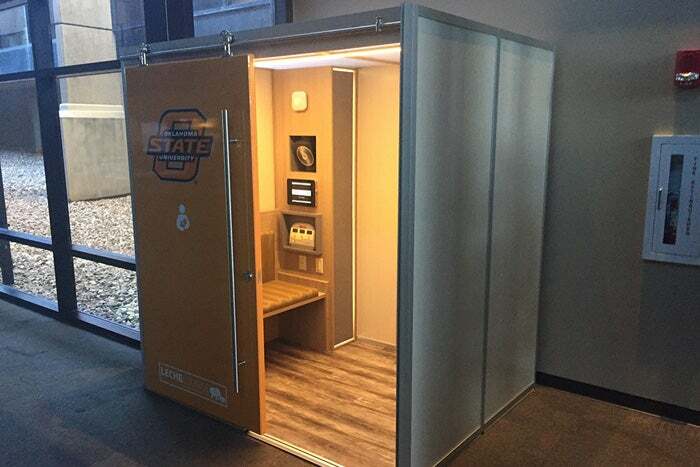 The “lounge” is a customizable room that includes a hospital-grade breast pump, footstool, mirror, device-charging ports and surface areas made from Corian-like materials so that they can be effectively wiped down with antimicrobial wipes. Leche Lounge’s roster of clients includes the Oklahoma State University Health Sciences Center, the U.S. Air Force and the Winstar World Casino in Thackerville, Okla.
Conduff, a mother of two, says she plans to use the winnings to work with the Oklahoma State University New Product Design Center to finalize her instruction manual and help scale the product.